Learn about the free best media player that you can download as an alternative to Winamp. A list of freeware that can play almost any video and audio file format. 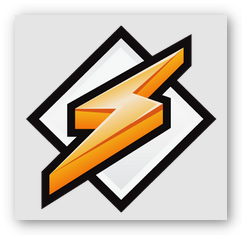 Tons of devoted Winamp users were shocked when it was announced late last year that the said program will soon come to a close. Retiring this long time Windows go-to media player is like saying farewell to your best friend. Although its great list of features, plug-ins, themes, skin support, music visualization, playlist and more will surely be missed, still, there is quite a number of freeware alternative to Winamp that can somehow assume the seat. Albeit talks that Winamp might be re-launched sometime in the near future, as an option, we have made a list of substitute media players you can choose from whose features and capabilities can by some means level with what Winamp has offered through the years. Fortunately, Android users can still enjoy the flexibility and benefits of Winamp on their smartphones and tablets by downloading the Winamp App (via Google play) on their Android device. Also, in selected countries, you may enhance the basic app features by availing additional In-App purchases, that is, if you are willing to throw in some few extra cash. VLC is among the best alternative to Winamp. This media player was officially released way back 2001. Same with Winamp, it supports many audio and compressed video file formats as well as from DVD, VCD and other streaming protocols. It can even play damaged, incomplete or unfinished files that are still being downloaded courtesy of peer-to-peer (P2P) network. Since VLC is a multi-platform, it is compatible with Windows, MAC, Linux, iOS, Android, Solaris and other known operating system. 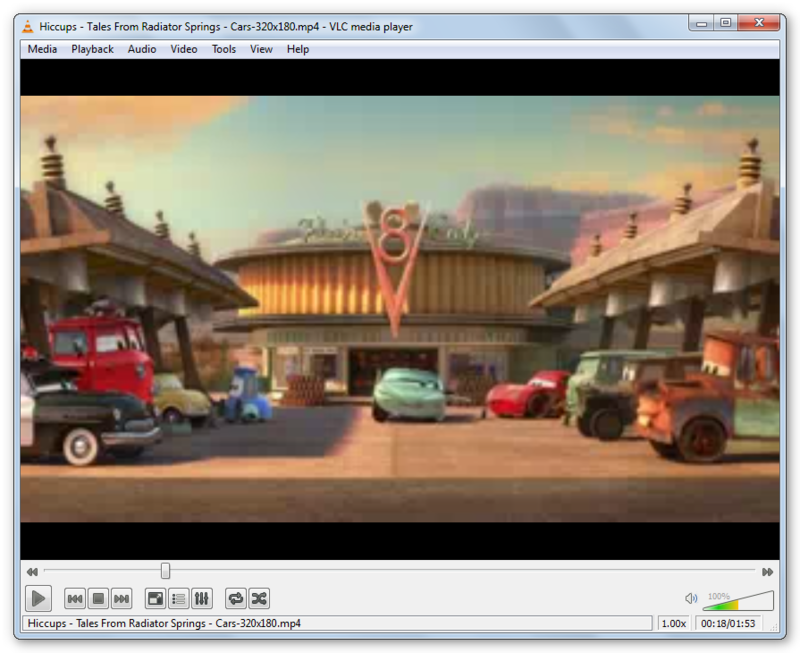 The user interface of VLC media player is simple and remains rather standard regardless of platform used but you are allowed to change the appearance of your media player via customizable skins with the exception of MAC users. For Windows users, a good alternative to Winamp is Media Player Classic. It is a compact media player that resembles the look and feel of Windows Media Players, which is the default player of Microsoft Windows. Media Player Classic supports playback from DVD, SVCD and DVD. It is also capable of playing common video and audio file formats, however, this file format compatibility can be further stretched by installing the proper codec such as K-Lite Codec Pack. iTunes is a well-known alternative to Winamp among MAC and selected Windows users who happen to own Apple devices like iPhone, iPad, iTouch and iPod. This media player is more than just a regular media player for audio and video playback. it is also a program used to sync data from computer to Apple devices (vice-versa) and serves as a link to iTunes store where you can purchase and download music, music videos, audiobooks, podcasts, movies, television shows and more. 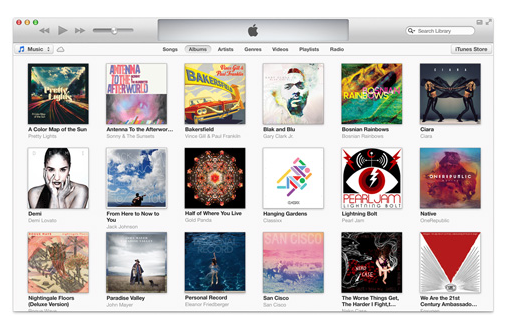 While others may find iTunes’ simple yet sleek interface a bit dull and boring, some like its modest appearance as it exudes a certain aura of sophistication which is what Apple products were highly recognized and known for. As far as visual interface, support for plug-ins and compatibility with most audio file formats, AIMP can be considered as the closest alternative to Winamp. This free music player is packed with a lot of integrated features that enables support for internet radio, audio conversion (can convert to .wma, .mp3, .wav and .ogg format), audio grabbing (can convert audioCD to MP3, OGG, WAV or WMA format), tag editor and more. It also has the ability to function as a sound recorder which allows you to write from any audio device within your system and save it to MP3, OGG, WAV or WMA format. Useful Tip: You may download and use AVGO Free Audio Converter, the best free software capable of doing simple to complicated audio conversions. Another option for alternative to Winamp that closely resembles the latter is XMPlay. 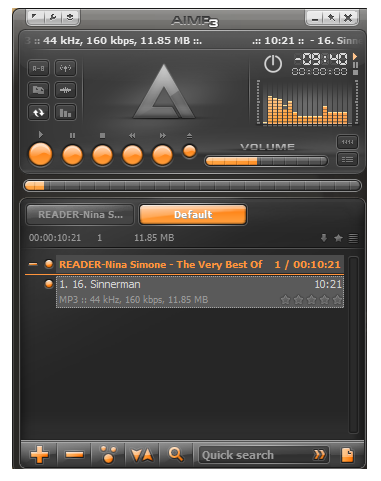 This free audio player supports all major audio formats and audio net streaming. Aside from the mentioned capabilities, it also comes with several useful features that facilitate support for gapless playback, sound visualization (generates real-time animations) and music library organization into playlist. Perhaps, the special thing that bonds XMPlay and Winamp together is the fact that XMPlay supports some of Winamp’s plug-ins, hence, permitting you to load and make use of them on the said audio player. Know the best places to effectively and successfully sell online. Find out more about the easiest and fastest way to earn money in the virtual world. Do you want to get rid of your gently used and almost new clothes, bags, shoes, jewelries and stuff like that? Now you can clean up and make money at the same time by doing a garage sale or selling your excess things online. Yes, you can sell almost anything online, whether it’s crisp and new or pre-owned, there is certainly a market for it. How To Advertise And Sell Online? To be a successful online seller, you need to know the best places to sell online and your target market before you decide where to post your items. You also have to be equipped with the right marketing skills and tools. Keep in mind that you are selling virtually, thus, it is necessary that you advertise and provide quality pictures of your merchandise. To achieve this, you can download the best camera app for your smartphone or tablet so you can take good photographs of the items you want to sell online. Ebay is perhaps the most established and safest place to buy and sell online. It is a great e-commerce website for both beginners and experienced sellers. Listing your items on Ebay is very easy as they provide tons of marketing tools to help you effectively sell your items. You also have an option to mark your items for “bidding” or “buy it now” scheme. However, you need to be very cautious when buying and selling online as you may encounter a lot of scammers and joybidders (bidders who have no intention of purchasing the items), thus, it is a good thing that Ebay provides a user reputation via feedback scoring system. Note: If you have a PayPal account, you may link it to your Ebay account for a more secured payment (sending and receiving) option. Since Facebook is a social networking site, you have the opportunity to utilize this avenue to sell online. You can create a separate account for your online shop or post and advertise your goods within your personal account which can instantly disseminate among your Facebook friends. While it may not be the most secured place to sell online, you just need to trust and rely on your instincts. It is a more risky scenario for buyers compared to sellers though. 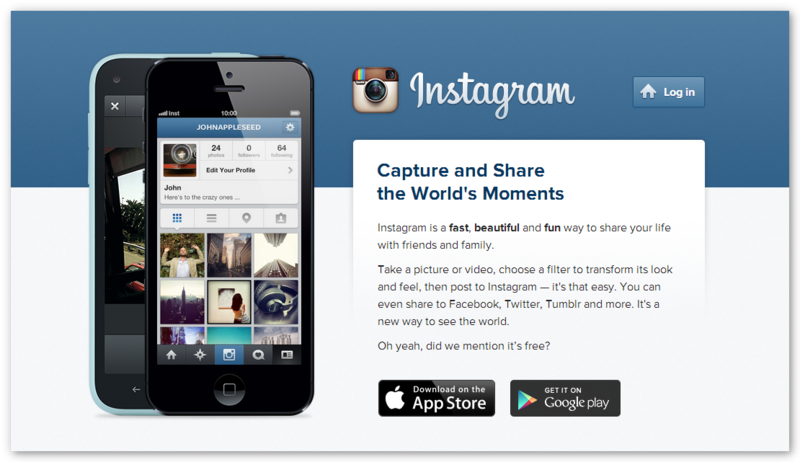 Although it is better recognized as a photo sharing app, you can also use this awesome app to sell online. Similar with Facebook, it is associated with social networking, thus, you already have potential buyers within your social group and followers. The Advantage of selling online via Instagram is that you can capture and edit the pictures of your products within the app then share it instantly for other Instagram users to see. You may also share your Instagram photos through your Facebook account, hence, killing two birds with one stone. Compliment your “fashion with sense” style and gear up with wearable tech accessories, chic and useful eye candy gadgets with special features and benefits. Dressing up is not limited to the fabric that your wear, it includes footwear, hairstyle and the right accessories that can best exemplify your taste and personality. Aside from bags, belts, hats and jewelries, tech gadgets like smartphones, smartwatches and the likes are now becoming popularly associated as part of one’s outfit. As you may know, apart from the most basic usage of a smartphone like making calls, sending text messages, taking pictures or watching videos from a converted DVD, it serves a vital purpose for the emerging market of wearable tech. When we hear “wearable tech”, the first thing that may come into mind are those gadgets worn by spies as seen on movies like James Bond and Mission Impossible but in the real world, any gadget or device that you can wear and attach to your body are considered wearable tech. Some examples of these are smartwatches, pedometers, fitness tracker and more. Though adding a wearable tech to your wardrobe may seem geeky, luckily most of these gadgets are designed in good taste which will make you look cool and classy at the same time. As stated by Nike, Nike+ FuelBand SE is the smart, simple and fun way to get more active. A wearable tech that can function both as a wrist watch and as fitness tracker band that counts your steps and measures your motion, and then sends the information to your iPhone or computer so you can track your progress. 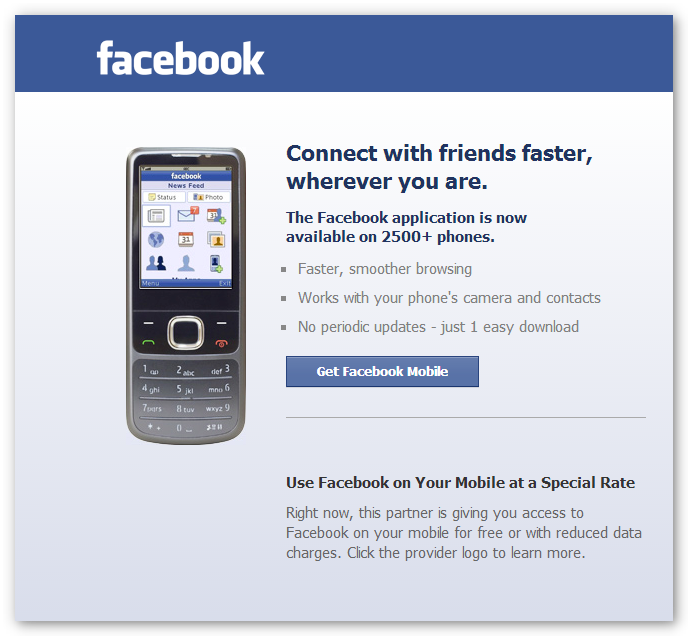 However, the mobile data syncing is only limited to iPhone 4S and later. On the positive note though, it is water resistant, thus, you can wear it while doing water-related activities such as when taking a shower. It also allows you to socially interact with other Nike+ users. 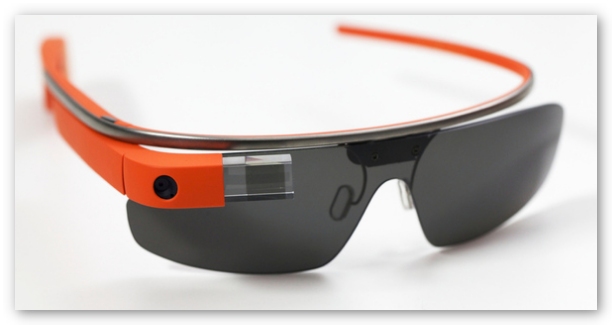 Quite ambitious and a first of its kind, Google Glass is a wearable tech voice activated eye glasses that lets you take photos, record videos, send text messages, answer phone calls, translate to a different language and more. However, it is still in the development stage and not yet readily available to consumers worldwide, hence, the features and capabilities are rather limited. Nevertheless, it is a more than meets the eye wearable tech any gadget enthusiast would surely love to have their hands on. 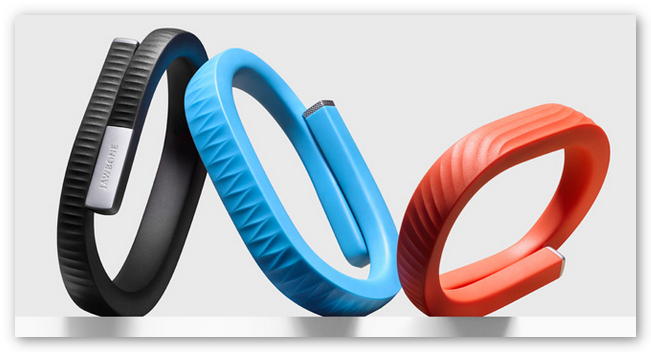 Another fitness tracker wearable tech is Fitbit Force. Aside from its ability to count your steps, this wrist strap lightweight tracker, it can track how well you sleep and the number of calories you consume. Similar with Nike+ FuelBand SE, it is also has time telling capabilities. 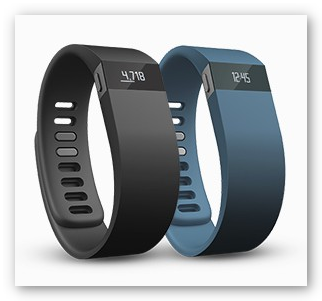 Perhaps, the edge of Fitbit Force over the latter is that it can directly sync not only with newer iPhones but also with selected Android phones like Samsung Galaxy S3, S4 and Galaxy Note 2 handsets. Comfortable and very easy to use are just some of the words that can best describe Jawbone Up24. Same as other fitness trackers, this wearable tech counts your steps, sleeping hours, and calorie intakes. While it is quite enjoyable to wear since it is very light and water-resistant, its lack of display screen does not allow you to check your progress instantly. Another limitation is that its mobile app (Up24 and UP 3.0) is compatible with iOS devices only. Express your artistic side or simply take better photographs using the stock camera of your smartphone or tablet with the best free camera app for Android. Even if your smartphones or tablets have top of the edge cameras, the built-in camera app does not really give justice to its full potential. Luckily, Google Play store has tons of fun and useful free apps like educational app, gaming app, language translator app, camera app and so much more. Among all the free Android apps, camera apps are the most frequently downloaded because it has the ability to transform and enhance simple snapshots into a dramatic image via its special features. Why download camera app for Android? It’s a given fact that most of us love taking photos of just about anything that we encounter in our daily lives. Free camera app for Android makes the art of story-telling through images from places visited, activities done, food and the likes more interesting and appealing to viewers. It has the ability to bring photos to life, thus, allowing the photographer to convey the message behind the image. One of the most sought after camera app for android is Camera360 Ultimate . This app lets you take pictures in eight shooting modes namely self-shoot mode, effects mode, burst mode, MultiGrids mode, DoubleEx mode, low light mode and audio camera mode (ability to take pictures while recording the background sound). It is also capable of editing pictures via cropping, adjusting texture, blurring a part of the image or utilizing any of its “effects” feature such as MagicSkin, MagicColor, Cartoon, Sketch, HDR and several others. Cymera is also a top pick for best camera app for Android. 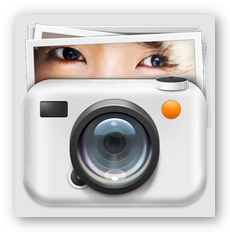 It comes with a variety of shooting modes, image filters and borders, beauty effects (big eyes, slim face, smile, clear spots, etc. ), face detection technology and features 7 camera lenses which is similar to what a DSLR camera has to offer. Aside from the English version of the app, it also includes support for other major languages like Spanish, German, Japanese, Korean and Chinese. Make your photos worth sharing with PhotoWonder, another photo app that can enhance and polish images with its filter camera modes that provides classic effects to instantly add depth to your snapshots. 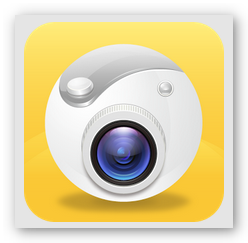 This free camera app for Android is among the top five in photo apps and has been awarded with the best app award by Google Play. PhotoWonder app is known not only for producing quality photos. The photo editing aspect of this camera app is absolutely notable. It is packed with special features like beautification effects (removing acne, whitening, enlarging eyes, etc. ), cool frames, photo decorations, collage maker and more. 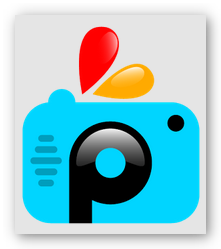 If you are looking for free camera app for Android that can convert your raw photos into a masterpiece, then PicsArt is exactly what you need. This photo app enables you to take still images, preview and apply live effects by improving the performance of your stock camera. It also provide tons of awesome app features among of which are photo manipulation, mask, collages, frames, borders, stickers, text effects, overlays, callouts, clipart graphics and almost anything you will ever need to create your own work of art. Break through language barriers on the go, download the best free language translator app for Android smartphones and tablets for a worry free conversation. Indeed, there are lots of things we can do with a smartphone or tablet. Aside from making calls, watching videos, listening to music, playing games and web surfing, there are also countless of apps that you can download for a specific purpose. 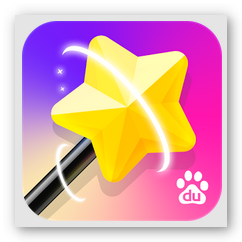 You can download educational apps, Ebook reader apps, video editor apps, ringtone apps, language translator apps and a whole lot more. One of the most useful app you can download for free is the language translator app. This is a must have app for globetrotters and those who want to communicate effectively when dealing with foreign clients. Why use a language translator app? Knowing a different language is a huge advantage especially when conducting business worldwide; however, learning it is a totally different story. It takes time, and in a fast paced world, time is a luxury that not everybody can afford. Thus, a language translator app is your best weapon for this battle. Google Translate supports more than 70 languages. You can type the word, speak the word or take pictures of the word you want to translate. It also allows you to save your translations for future access on a different device and the best thing about this language translator app is that it works even offline. This language translator app was a popular choice among iPhone users, and now it is also becoming a favorite within the Android community. iTranslate can do translations from both voice and written input of words, phrases and complete sentences for over 50 languages. It can output verbally using high quality voices from different languages so you can listen and learn effectively. It also comes with a dictionary for some languages which includes meaning, suggestions and additional results. Voice Translator Free is another good language translator app that is capable of doing “text to speech” translations. It supports more than 50 languages and allows you to dictate the word you want to translate instead of typing it. A language translator app that is fast becoming a top download among Android users is Talking Translator/Dictionary . This app includes a dictionary, word of the day (in widget and notifications), sentence correction feature and more. It also supports “text to speech” translation. The only weakness of this app is that it does not have an offline version; it requires internet connection to work. Which is the best Bluetooth speaker? For the perfect wireless rhythm and harmony experience on the go, start sharing your favorite tunes from your smartphone or tablet using the best Bluetooth speaker. Bluetooth technology is certainly one of the most useful feature that every smartphone and tablet possess. It gave the word file sharing a whole new meaning. With this technology, you can share videos, images and more between different bluetooth capable devices. This amazing technology has been adapted on almost all existing electronic gadget including speakers. Now, you can enjoy listening to your smartphone or tablet’s music collection (MP3, WAV, etc.) without sacrificing sound quality by using the best Bluetooth speaker. Why use a Bluetooth speaker? For starters, it is more compact than usb speakers or dock-based speakers which made it an ultimate choice for music playback on the go. You can also expect better sound quality compared with the internal speakers of your smartphone and tablet. Lastly, with its rechargeable batteries, you can use it whenever and wherever you wish. 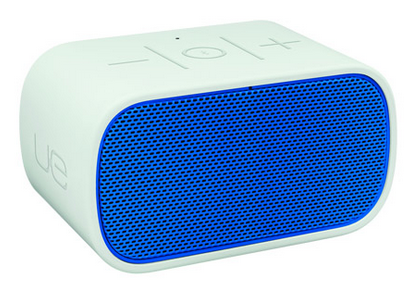 Logitech UE Mobile Boombox is the improved version Logitech’s Mini Boombox. It has a built-in rechargeable battery which makes it highly portable. It also has speakerphone capabilities and rubberized casing. Considering its very compact built, it still manages to give off good quality sound. 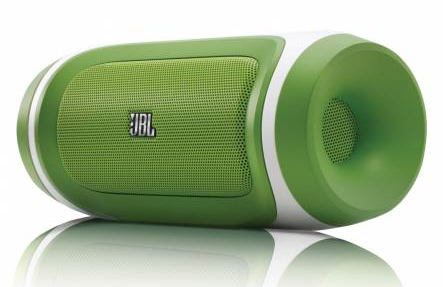 This Bluetooth speaker from JBL does more than meets the eye. It has a USB port that enables you to utilize its built-in battery to charge other portable devices. 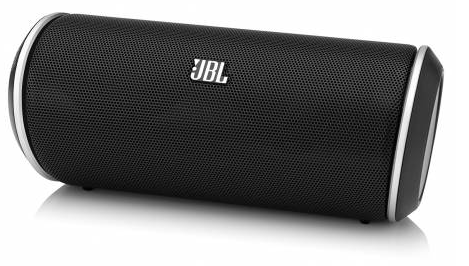 Although JBL Charge has no speakerphone capabilities and the bass sound gets distorted when setting on higher volume, seeing its rather sleek design which allows you to use the speaker vertically or horizontally and it also comes with a carrying case so it’s still a good choice. 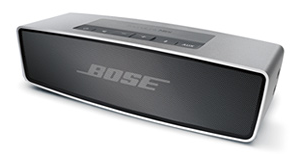 Bose SoundLink Mini is a top choice if you prefer an ultra-compact Bluetooth speaker. It has a simple design which emits a sophisticated feel and look. Same with JBL Charge, it does not have speakerphone capability but this is not really a big deal because the sound quality produced by this tiny speaker is truly superb and quite surprising. Same with JBL Charge, you can also use JBL Flip either vertically or horizontally. It also comes with a carrying case and is capable of producing good and loud sound. Unlike JBL Charge, this compact speaker has speakerphone capability (use built-in mic for Skype, FaceTime, etc.) but the battery life is not that impressive, however, in weight of price and performance, it is still a pretty decent contender for the best Bluetooth speaker. 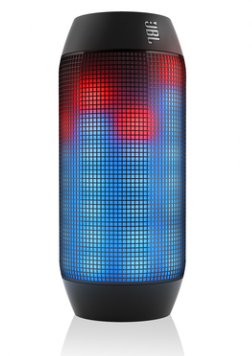 Younger consumers will most likely consider JBL Pulse as the best Bluetooth speaker. This compact speaker delivers great sound with added visual effects (customizable themes and light show). However, the light show lessens the battery life but you can easily turn it off to save on energy. It is twice as expensive as JBL Flip but then again, with its sight and sound appeal, one can easily forgive its price tag. In addition to choosing the best Bluetooth speaker, to enjoy the best listening experience you have to make sure that your music file is flawless. Hence, you may convert your audio files to MP3 with Free Audio Converter. Get AVGO Free Audio Converter now! Find out more about the upcoming smartphone for 2014. Get updated on the latest offerings from competing manufacturers like Sony, Samsung, Apple and more. Indeed, 2013 was a thriving year for mobile market. It was absolutely a fierce competition out there as smartphone manufacturers tried to surpass one another in terms of display size, selling price, software and hardware capabilities, still there were quite a handful of handy phones that stood out and made it to our list for the best smartphones of 2013. While Sony has already announced their upcoming smartphone for 2014, there were speculations that leading smartphone manufacturers such as Samsung and Apple will soon announce the release of their latest additions to their already successful and well appreciated mobile handsets. 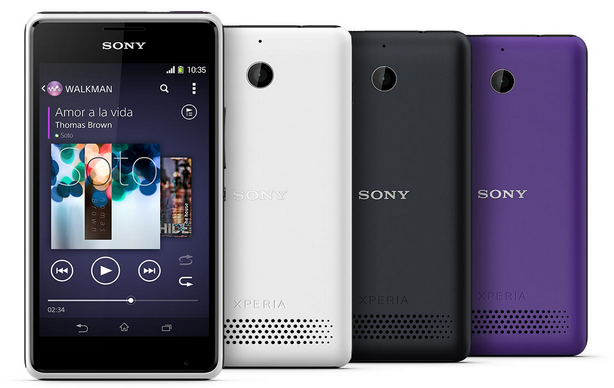 Sony Xperia T2 Ultra is said to be similar with Xperia Z except that it has a few added features. It is powered with Qualcomm Snapdragon MSM8928 quad core processor, has a 6 inch HD display (720 x 1280 pixels; pixel density of 245 ppi), light sensor, 13 megapixels rear camera, system memory of 1024 MB RAM, 8 GB built-in storage (expandable up to 32 GB) and running Android 4.3 (Jelly Bean). 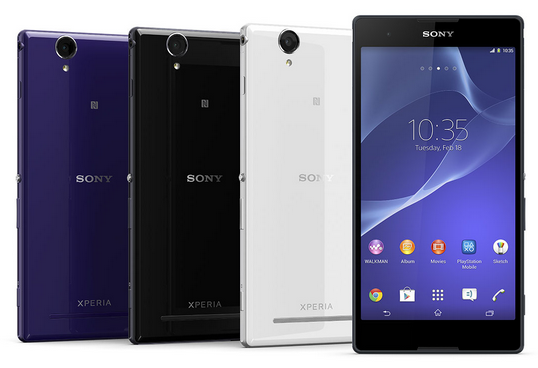 Although it is not dust and water-resistant like that of Sony Xperia Z , however, it is quite lighter and has a dual sim variant (Xperia T2 Ultra Dual). The official product release date of this smartphone is yet to be announced and it is expected to be priced moderately so as to attract more consumers from developing nations. Sony Xperia E1 is running on Qualcomm MSM8210 dual core processor with 512 MB RAM system memory, built-in storage of 4 GB (can be expanded up to 32 GB) and it will have Android 4.3 (Jelly Bean) as its operating system. It features a 4 inch display (480 x 800 pixels; pixel density of 233 ppi), light sensor,shake control and 3 megapixels rear camera. The audio sound of Xperia E1 is said to be loud and clear as Sony labeled it the “music focused player” smartphone, so for a more enjoyable music playlist, you may use Free Audio Converter for any audio conversion needs. Meanwhile, similar with Xperia T2 Ultra, it also has a dual sim variant (Xperia E1 dual) and there is no definite product release date as of this time. Since Samsung Galaxy S4 had a triumphant market reception, consumers cannot help but enthusiastically wait for the official announcement of Samsung Galaxy S5. There are much rumors and speculations surrounding Samsung’s upcoming smartphone for 2014. Some say that the focus on the next flagship handset will be on the display and that it will have a flexible display technology but until we hear the official product announcement from the much esteemed Korean manufacturer, your prediction will remain as good as ours. From the time iPhone 5s and iPhone 5c made its presence felt in the market, iPhone fanatics were already looking forward for the official statement from Apple regarding iPhone 6. While there were numerous assumptions as to what would be the added features on the future iPhone, it will linger to be just “hear and say” which in our opinion is not that all bad as it will make the wait all the more interesting. Guess which games made our list for best free games of 2013 that you can download and play on your Android smartphone and tablet as well as on your iOS devices. As we welcome 2014, we took a trip down memory lane to round up the best free games that we had a blast playing on our Android and iOS gadgets. These gaming apps kept us company, entertained and relaxed during breaks, heavy traffic, before sleeping and so on. These addicting switch and match game is one of the most downloaded free app on Android market and iTunes store. 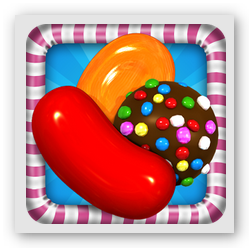 Candy Crush Saga made quite a buzz on social networking sites particularly on Facebook because you can sync this app to your Facebook account which made it more fun and challenging since you get to compete with your family and friends. 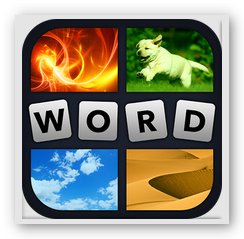 4 Pics 1 Word is another popular addictive game that has over 100,000,000 players worldwide and in eight languages at that. This game is truly mind stimulating as you get to guess a single word that is connected with the four picture clues shown on your screen. It is easy to play as there are scrambled letters to choose from and you can either buy a letter or remove unnecessary letters among the choices provided. Whenever you see someone swiping, sliding their fingers across the screen or tilting their smartphones and tablets, there is a big chance that they are playing Temple Run. 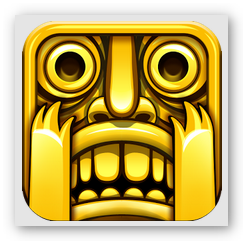 This mega hit game was first introduced on iOS devices then later on made available for Android users. It is a thrilling adventure game where you have to run, avoid obstacles, jump cliffs and more to collect coins, buy power ups and unlock new characters. 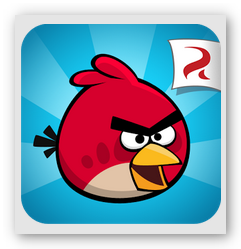 Angry Birds is a very simple yet clever game that truly made every gamer happy, excited and frustrated at the same time. Each level of this cute and entertaining game requires logic and skill as it is actually a Physics-based application. This very successful game has already spawned into several versions including Angry Birds Star Wars, Angry Birds Space, Angry Birds Rio, Angry Birds Go and More. They were fist sighted on the top grossing animated film Despicable Me. 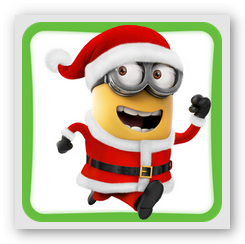 It seems that everybody could not get enough of Gru’s minions because as soon as their official gaming app, Minion Rush, was released, it became an instant hit among kids and adults alike, after all, who can resist those cute little yellow fellows? Indeed, playing games on any mobile gadget is fun and stress relieving but keep in mind that aside from free games, there are a lot of useful free iOs and Android apps that is worthy to be downloaded and explored on your smartphones and tablets like free educational apps for kids, Ebook Reader apps, video downloader apps and so much more. Get started with your business presentation using a smartphone or tablet and the best pocket projector for that ultimate mobile projection. With all the recent technology advancements, more and more complicated tasks can be accomplished in the easiest and fastest possible way. Now, the long list of what you can do on your smartphones or tablets is no longer limited to making calls, playing games, surfing the internet, doing emails or watching movies. You may also use these handheld devices to do a professional digital presentation on any business related matters using a pocket projector. Why use a Pocket Projector? For starters, it is smaller, lighter and non-complicated to use compared with the traditional projectors that you are accustomed to. 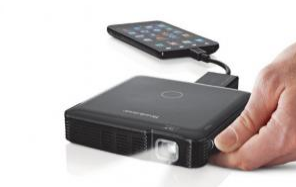 With a pocket projector, you can carry everything you need for your digital presentation in your pocket or purse. Apart from using a pocket projector for business presentations, you may also utilize it for a large screen movie viewing when entertaining guests on camping trips or any other occasion. Using a pocket projector like Brookstone HDMI , you can watch movies by converting DVDs or videos to your device ahead of time. To sum it up, using a pocket projector absolutely levels up the countless amazing things you can do and enjoy with your smartphone, tablet or any handheld device. So the next time you do a visual presentation, watch your favorite movies or videos from streaming websites including YouTube, Vevo, Hulu, Dailymotion and more, play video games or share videos and pictures at a party, be sure to have your pocket projector handy for endless fun and maximum entertainment. Need to do impromptu editing on the go? Be acquainted with the best free android video editor you can download for editing videos on any android device. One of the perks you can enjoy on your smartphone or tablet is the ability to shoot videos anytime and anywhere you want. You can instantly record milestones of your loved ones like first steps of your baby, first ballet recital or just about anything that has significance to you. These captured videos will form a memory that will give you a lifetime dose of warmth and happiness. With technology moving forward, you may now easily edit raw videos taken using your smartphone or tablet on the same device. You can cut unwanted clips, rotate images, join videos or add background music via free android video editor app that you can download from android market. Simply one of the best free android video editor to date, Magisto Video Editor & Maker app is packed with amazing features that enables to edit and produce magical videos in the easiest possible way as it automatically stabilizes, filters, add effects and transitions to your videos for that professional feel. Another great free android video editor worthy to download on your android device is VideoShow . Aside from its editing capabilities such as trimming, merging, adding awesome video effects and filters (Georgia, Sepia, Recho, Sahara, Polaroid) and adding background music, it also supports adding text and subtitles on the video. Video Editor is an easy to use yet powerful free android video editor that lets you trim, split, merge videos on your android devices. As well as add background music and convert videos to mp3 format. It also allows you to share your edited videos to your Facebook or YouTube account among others. This free android video editor app showcases a lot of promising features which includes removing and changing audio of video, adding your own voice to video, video rotation, video to audio conversion (.acc format), numerous video effects and more. Video Editor app also lets you convert videos to AVI, FLV and MP4 format. Though using this app could be a bit frustrating at first since it takes quite some time to load but nevertheless it is still a handy video editor app to try on your android device. For basic video editing needs like trimming and adding effects, we suggest VidTrim. Though this video editor app has only limited features, it is still capable of producing decent output that you can share and keep for future use. We recommend this free android video editor for beginners or for video projects that does not require any special video enhancements.